and hast enlightened the world, glory to Thee! Orthodox Christians worship the Father, Son, and Holy Spirit—the Holy Trinity, the one God. 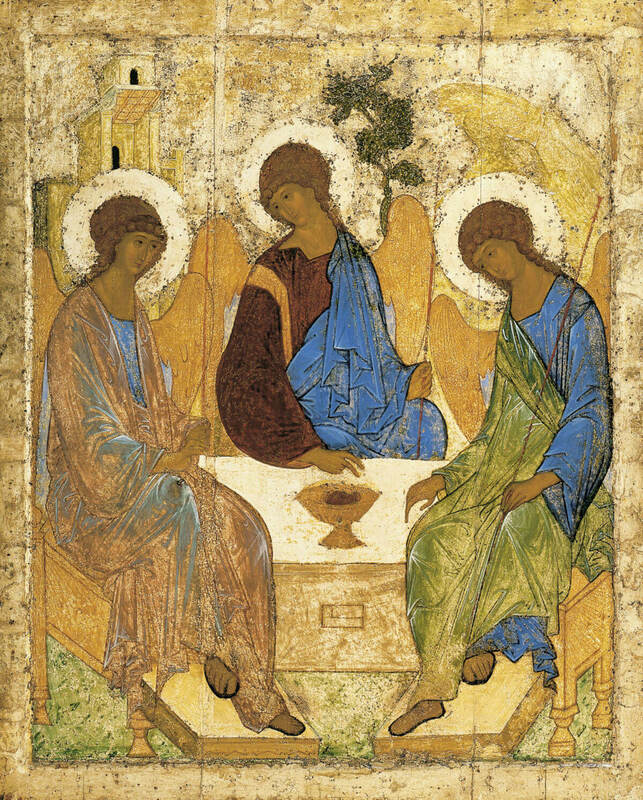 Following the Holy Scriptures and the Church Fathers, the Church believes that the Trinity is three divine persons who share one essence. It is paradoxical to believe thus, but it is how God has revealed himself. All three persons are consubstantial with each other, that is, they are of one essence and coeternal. There never was a time when any of the persons of the Trinity did not exist. God is beyond and before time and yet acts within time, moving and speaking within history. God is not an impersonal essence or mere “higher power,” but rather each of the divine persons relates to mankind personally. Neither is God a simple name for three gods (i.e., polytheism), but rather the Orthodox faith is monotheist and yet Trinitarian. The God of the Orthodox Christian Church is the God of Abraham, Isaac and Jacob, the I AM who revealed himself to Moses in the burning bush. The Father (Abba) is the fountainhead (source) of the Holy Trinity, and the maker of heaven and earth, and of all things visible and invisible. God the Father created all things through the Son, in the Holy Spirit (Genesis 1 and 2; John 1:3; Job 33:4), and Orthodox Christians are called to worship Him (John 4:23). The Father loves us and sent His Son to give us everlasting life (John 3:16). The scriptures reveal the one God is Three Persons: Father, Son, and Holy Spirit, eternally sharing the one divine nature. From the Father the Son is begotten before all ages and all time (Psalm 2:7; II Corinthians 11:31). It is also from the Father the Holy Spirit eternally proceeds (John 15:26). The Orthodox Church teaches that we come to know the Father through Jesus Christ, and in the Holy Spirit (Matthew 11:27). In the Old Testament the intimate name of Father was not used to address God in prayer. Only in Christ and because of Christ can Christians have such boldness. Only Christians can properly say the Lord’s Prayer that was taught to them by the Son of God. Only those who have died and risen with Christ in baptism, and have received the power to become sons of God by the Holy Spirit in Chrismation are enabled to approach the Almighty God most high as their Father (John 1:12; Matthew 6:9; Romans 8:14; Galatians 4:4). 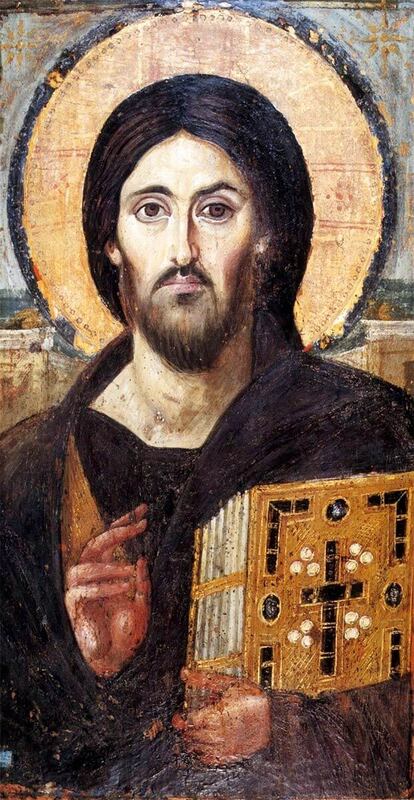 The Son, Jesus Christ is the incarnate Second Person of the Holy Trinity, the only begotten Son of God, fully God and fully man, born in time of the Virgin Mary and begotten from before all time of God the Father. In the Bible, the Old Testament speaks of His incarnation (becoming man) and the Gospels and Epistles of the New Testament speak about His earthly life, death, and resurrection. The Holy Spirit, or Holy Ghost is God, the third Person of the Holy Trinity, who, from eternity, “proceeds” from the Father (John 15:26). The Holy Spirit is co-equal with the Father and the Son. The word “Spirit” commonly translates the Greek New Testament word pneuma. The Spirit dwells inside every true Christian, each one’s body being his temple (1 Cor. 3:16). He is depicted as a ‘Counselor’ or ‘Helper’ (paraclete in Greek), guiding them in the way of the truth. The ‘Fruit of the Spirit’ (i.e. the result of his work) is “love, joy, peace, patience, kindness, goodness, faithfulness, gentleness and self-control” (Galatians 5:22). The Spirit is also believed to give gifts or charismas (i.e. abilities) to Christians. It is the Holy Spirit whom Jesus mentioned as the promised “Comforter” (i.e. “strengthener”, “fortifier”) in John 14:26. After his resurrection, Christ told his disciples that they would be “baptized with the Holy Spirit”, and would receive power from on high (Acts 1:4-8); this promise was fulfilled in the events recorded in the second chapter of Acts. At Pentecost, Jesus’ disciples were gathered in Jerusalem when a mighty wind was heard and tongues of fire appeared over their heads. A multilingual crowd heard the disciples speaking, and each of them heard them speaking in his or her native language by the grace of the Holy Spirit.